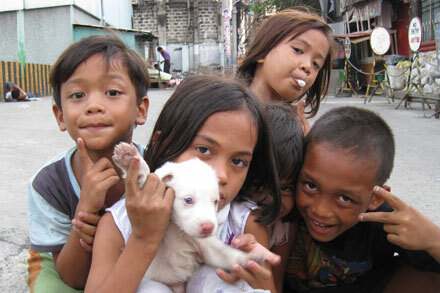 When we came to the Philippines, we only intended to stay for two to three months. Over five months later, we’re still here. Clearly, we like it. Amazing underwater treasures, beautiful jungles, deserted white-sand beaches, stunning landscapes, and some of the friendliest people in the world make it a hard country to leave. To recall our terrific time here, we’ve put together a Philippines pictorial of some of the highlights. Guys, I’ve lived in the Philippines for 6 years and you’ve seen more of the country than I ever have, or probably will. Thank you so much for sharing this with the world, and for reminding me of the beautiful things. Much luck on your next adventure. 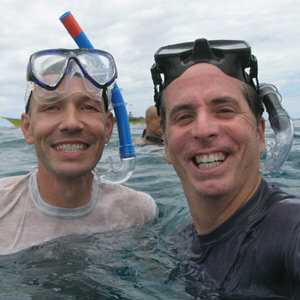 Hi Tony and Thomas, it was a joy reading your posts about the Philippines and seeing all those gorgeous underwater photos and videos. Good luck on your future travels and I look forward to reading about your next adventure! Thank you! I’m planning to travel the WHOLE Philippines (of course, one city at a time) and your blogs just made me all the more excited! I’m so jealous! My greatest goal is to travel the world and I wish I knew you both so I can travel with you.. It was so nice to know that you had a terrific time here in the Philippines! Pictures are stunning and one may think that the collage is a local tourism advertisement. Hope you’ll get to visit more places here soon! Great and interesting post! I’ve lived in the Philippines for 23 years and you’ve seen more of the country than I ever have, or probably will. Thank you so much for sharing this with the world, and for reminding me of the beautiful things we have here in the Philippines. Tony and Thomas. thanks for featuring in your blog my country, the Philippines. I felt in love with it now more than ever, knowing that it has incredibly stunning natural wonders from scenic mountains to its surreal and pristine beaches. how I wish, i could explore my own country!